Easy-to-use precision ag software for agronomists. FieldReveal is a proven precision ag system and comprehensive mapping and data platform built for agronomists. Over the last few decades, we’ve developed and evolved one of the most complete precision farming platforms that enables agronomists to clearly view comprehensive field data to make more efficient recommendations to their farmer customers. Designed to enhance partnerships between ag retailers and their customers, our system has been proven across millions of acres. 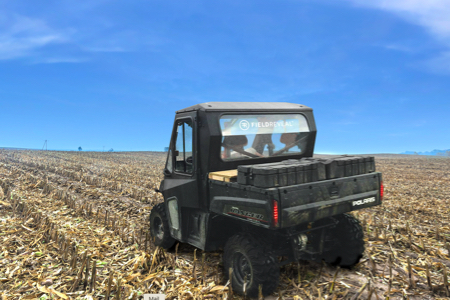 FieldReveal serves as a cloud-based hub for agronomists and allows them to easily connect with others involved in an operation – soil samplers, field scouts, dispatchers, applicators, and farmers. Accessible anywhere you have internet connectivity, it ties everything together and lets agronomists spend more time in the field with the farmer and less time in the office managing data and information. Built by agronomists for agronomists. More field time, less office time. Many field agronomy prescriptions focus primarily on nitrogen levels and don’t account for other important plant nutrient levels. FieldReveal identifies the full spectrum of soil nutrient needs and provides prescriptions to create the ideal soil environment designed to maximize yield potential. Our mission is to provide ag retailers with resources to manage agronomic data by offering the most advanced decision ag platform. Our vision is to connect and sell the most advanced agronomic software solutions, which empower agronomy teams to be the vital, trusted advisor for their customer.